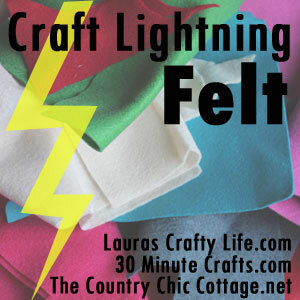 Hey everyone, I am so glad to be a part of another craft lightning challenge. This time instead of it being about a specific theme it’s about a material and the material chosen was felt. 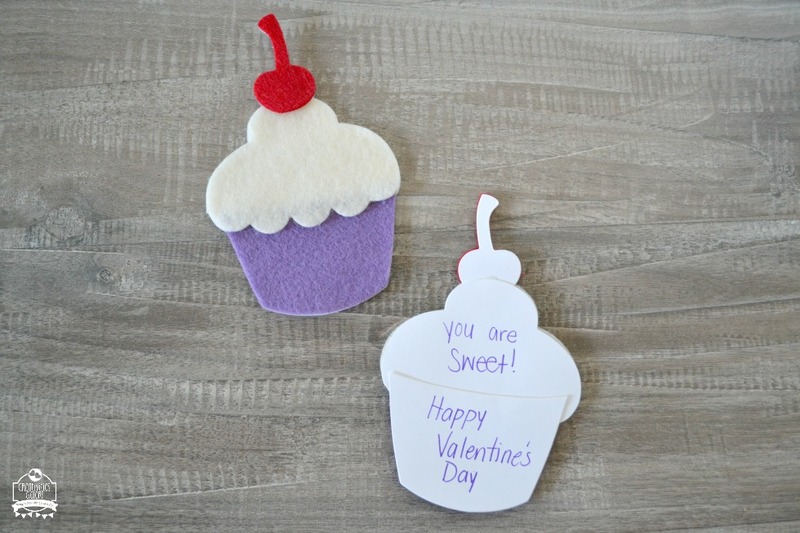 I decided to break out my Sizzix Big Shot and whip up this felt cupcake valentine card. 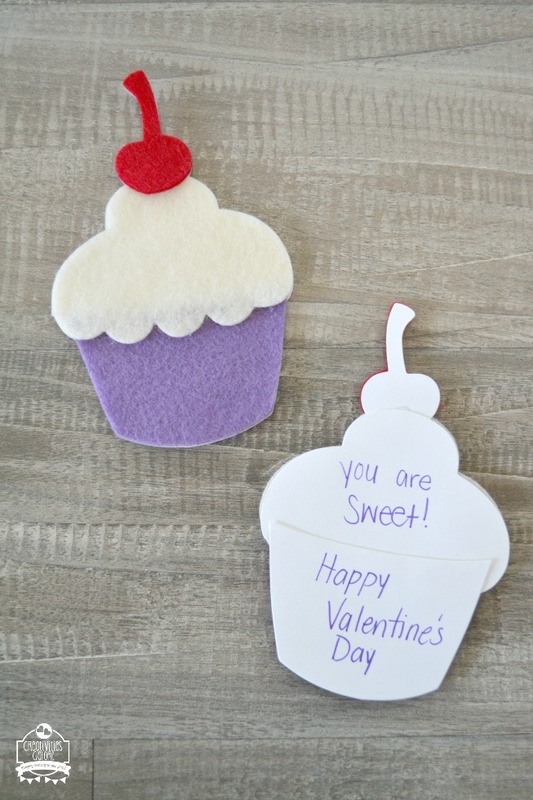 It took me less than 15 minutes to make this fun and cute cupcake valentine card. 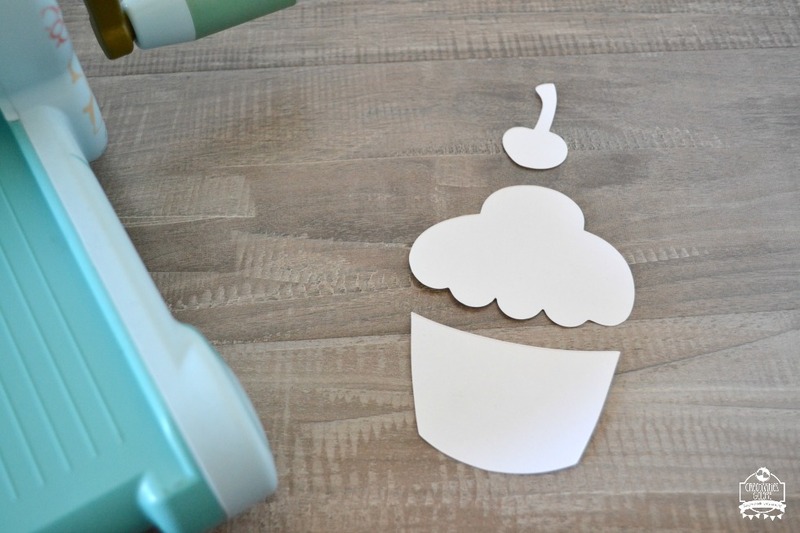 The first step is to cut out your card stock into the cupcake shape and then glue the pieces together. This will be the back part of your cupcake valentine card where you will write out a sweet message. 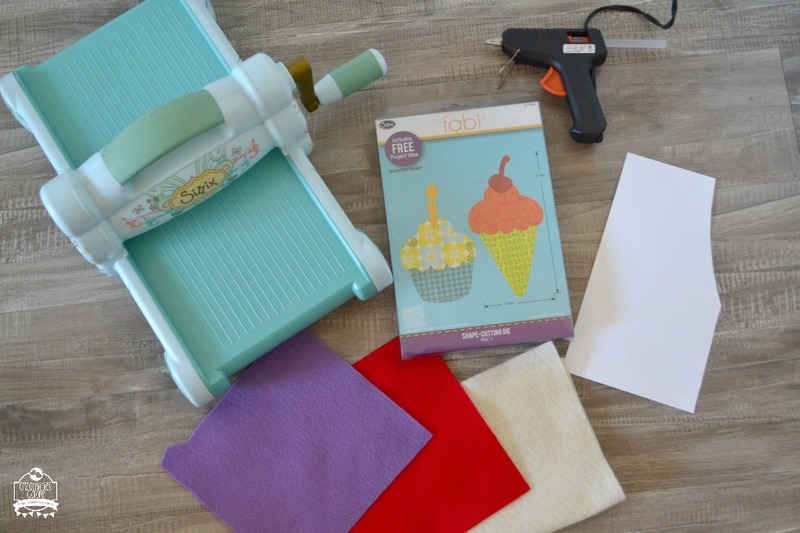 Next you will cut out your felt to fit onto the die and cut those pieces out into the cupcake. 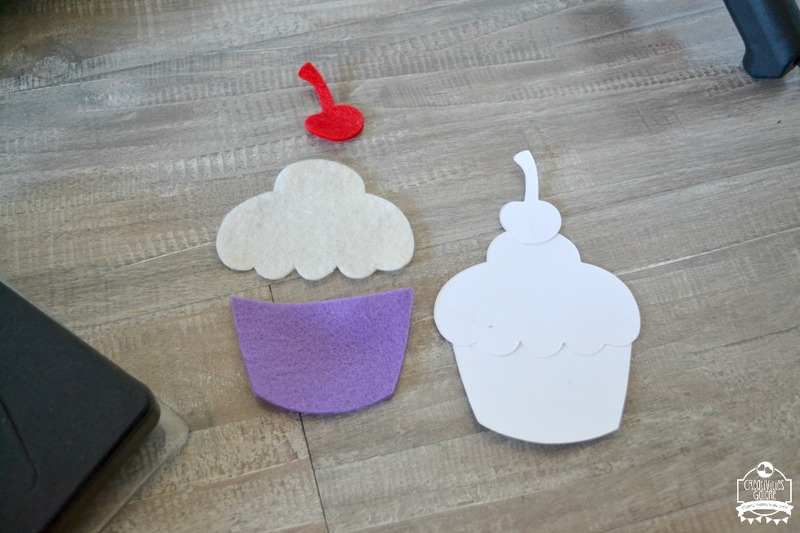 Here you have the individual felt pieces next to the card stock cupcake that is put together. Now you just need to glue the felt pieces on top of the card stock version and you are done. Here you have the front and back of the completed cupcake valentine card. On the back you can write whatever you want, I chose to write “You are sweet, Happy Valentine’s Day”. I hope this cupcake valentine card inspired you to create a sweet valentine for that special loved one in your life. 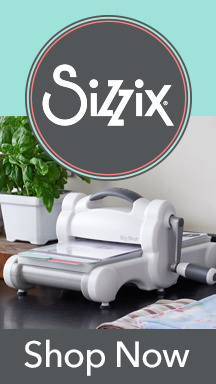 In DIY, Sizzix, Valentine's Day. Bookmark the permalink. This card is such a cute idea! 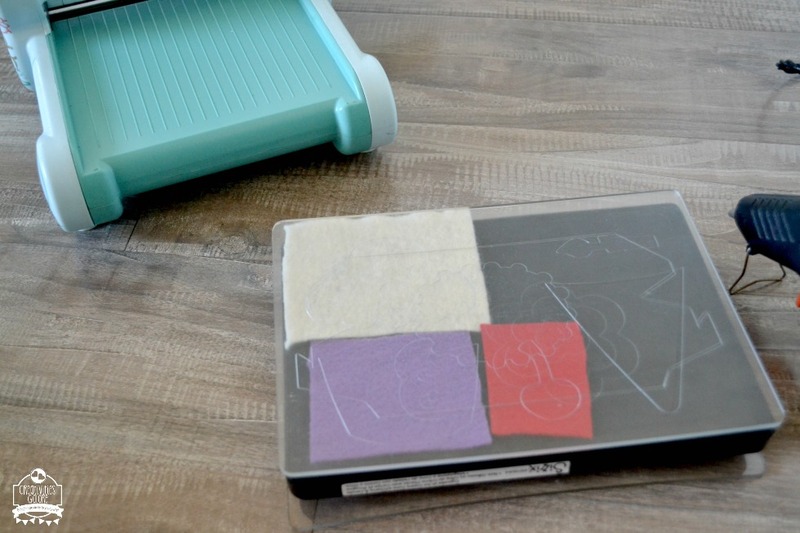 I would have never thought to use felt for a card.